been in the construction field for 15 plus years. Being in the industry for so long has allowed him to see a range of not only successes but also many flaws. It was this that continues to inspire him to be the best out there when it comes to providing clients with top of the line work along with a focused and direct approach. In 2009 Tim Lawlor Construction was launched and since then we have been striving to keep quality above all else. As a Bay Area native Tim is familiar with all of the various communities within and the architecture that they encompass. With a growing family himself he understands the importance of having a comfortable space to come home to, even throughout construction. Principal Designer and Project Development Manager Kelli Lopez graduated in 2012 from CSU Chico with her bachelors in interior design. Her senior year she served as the ASID Student Chapter President as well as received an award for recognition within the art department. Kelli has honed her skills through years of experience in the field ranging from high end residential design, kitchen and bath design, as well as furniture design and conception. She began with Tim Lawlor Construction in 2013, helping clients with full construction documents and the passion she has for design then developed into a full time position helping clients fulfill their dreams of design in their own homes. Nathan Ramey has been a part of the team since 2012 and has since transitioned into the vital role of Project Manager. 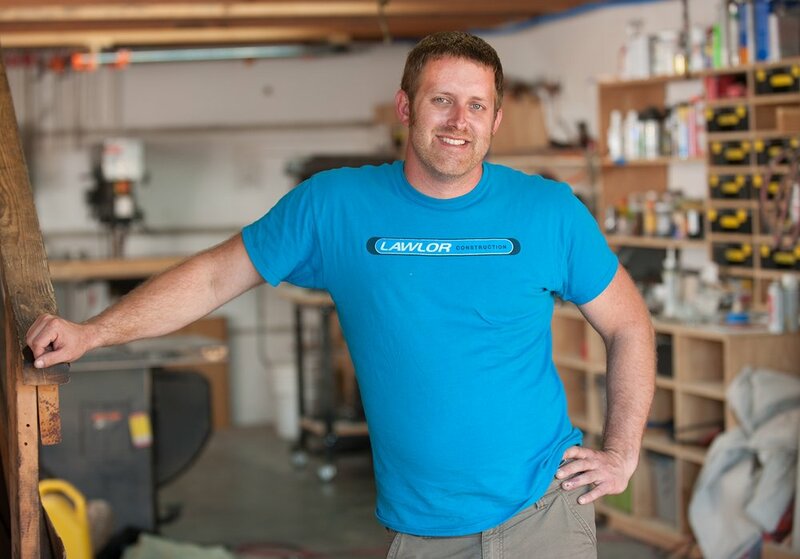 With over 15 years of experience in the industry working in all different aspects of the business from HVAC to excavation, Nathan has the knowledge and know-how to keep the project rolling and to find solutions to all of the hard answers. When not at work, you can find Nathan at home or about town with his wife and three children.